The worst thing about this is that my hometown has 3000 people who are not noted as writers. Are you an Any Seton fan by chance?! Ditto -- our town has 1000 people, but apparently a local fellow wrote a history of it, so I'll see if I can dig that up at our library. And yes, I'm a HUGE Anya Seton fan. To be fair, Francie from A Tree Grows in Brooklyn never actually gets to attend high school...and once she has her junior-high graduation, it's not set in school at all. A.J. Jacobs may write stunt journalism, but it is amusing. A Year of Living Biblically was downright hilarious at times. Particularly when his wife is unamused with his new restrictions and eccentricities of behavior. I hope you like it! True (about a Tree Grows in Brooklyn) -- but I can't bear the thought of reading some modern angst-y teenage melodrama. I'll stick with the classic. I've read A Year of Living Biblically before and loved it -- that will be a re-read for me. Well, I'll agree with that assessment of modern teenage lit. And on the latter, did you ever read A Year of Biblical Womanhood? Basically a 'non domestic' young woman tries out the Proverbs 31 schtick on her husband. It's .... also interesting. Not as funny, though. And A Year Without Made In China has some glaring factual errors, and I'll leave it at that. I have strong opinions about books. I apologize if that bothers you. Happy reading! 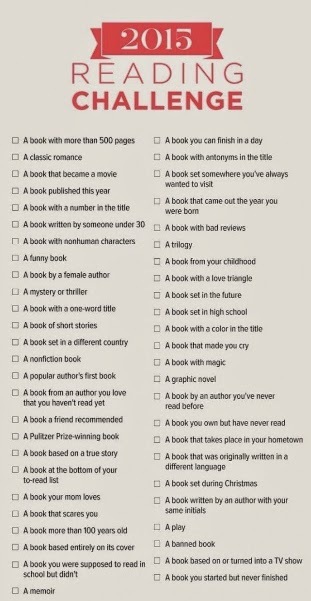 What a fun challenge, my schedule doesn't allow for that much reading, a book a month is more what I can handle at this point in life. I hope we get to hear reviews of some of the books? Reading books is very difficult for me - not because of disinterest or inability, but because of a comprehension problem. Sometimes I have to read the same sentence or paragraph 4 times before I understand it. I once attempted Daniel Defoe's Robinson Crusoe. I only got halfway through because of Defoe's very unusual sentence structure. I kind of use periods as a cue to breathe, and the very lengthy, page-long sentences made me run out of breath. I also tried Mitchell's Gone With the Wind, and found the character development exhausting. I gave up after a couple hundred pages. I have better luck with newer work, like A Dan Browne novel or Pournelle and Niven's Lucifer's Hammer. It would be fun to spend some time trying to come up with works I could actually accomplish! What a fun thing to do on New Year's Day! I'm in. This sounds like a fun challenge and for me it would really be a challenge. Altho I read usually 3 fiction books a week and 1 non-fiction book every 2 weeks (I am retired and don't watch TV), I have very particular tastes in books, usually mysteries by female authors and non-fiction about FL, I'll see what I can come up with. Will also mention this at the library when I go on Monday. This sounds like my kind of challenge. Not sure that I can get through all the books in one year, but I'm willing to give it a go. Brom Stokers Dracula, the movie from the 90's follows the book nearly exactly. Anything by Zane Grey, several were made into movies. Atlas Shrugged and/or the Fountianhead by Ayn Rand, also some of Non fiction works are good but very hard reading. 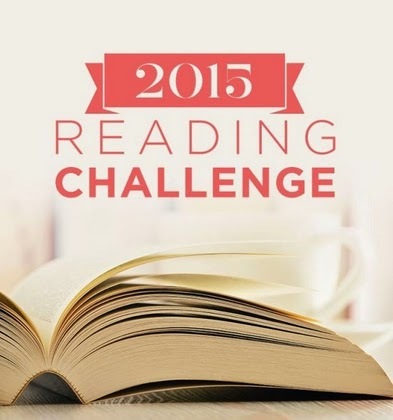 I read about a book a week anyway, mostly action novels written in the past 20 years. But I am going to try and meet the rules here and see how I do. I once decided that true wealth is three books I want to read but have not yet started (and TWO pairs of dry socks in my backpack...but that's another story!). Already working on my list. in the Bible would qualify. I'm up for this challenge! Have started out with a Mark Twain short story collection this morning. For #42 - the Graphic novel I took a stab at a Japanese anime graphic novel, Children of the Sea by Daisuke Igarashi. Oh man - this was tough going. You start at the "back" of the book, read top to bottom, but right to left. Once I got my head wrapped around that I did okay. Can't say I liked the book - but at least it was fast and I did finish it! I'm in! This sounds fun. I love to read and I have started my list! I am in. My fun will be finding new titles to fill this required reading list, as I am a voracious reader and I vowed not to reread. For books about high school, try Lois Lowry. Her heroines are usually battling in high school. I am also an Anya Seton fan. Washington Irving's short stories are fun as are Stephen King's. I have not read The Color Purple so that is my choice for color. So happy to see the 52 Books in 52 Weeks challenge inspired you. Enjoyed checking out the different categories you came up with. Check out the monthly themes and author flavors of the month. It may give you even more ideas. Glad you are playing along. This sounds fun and it will fit in with the project I began about 5 years ago of reading everything on my high school reading list that I was too callow to understand at the time, what an eye opener! I will definitely try. May I suggest Louis L'Amour novels that were made into movies as well. I'm in! Love Anya Seton! Re-reading The Turquoise by her will be my "color." I found this on Pintrest a couple days ago and started my first book yesterday. A book started but never finished - The Silver Chair by CS Lewis. Patrice, my husband just read a local book by Oscar "Benewah" Blake called TIMBER DOWN THE HILL. Based around his move to the area at 18 and claiming/developing a homestead off the Benewah Creek Rd area. Not polished, but very interesting. St Maries library has it in the Idaho section.